Syrian crisis which started with the regime’s oppression and killings went from being a civil war to a big war in which dozens of countries are involved. The death toll is over 300.000 while 5 million Syrians have become refugees and thousands are imprisoned. Turkey is the number one country among those that admit refugees as it shelters over 2.5 million Syrians. Syria, which has been home to diverse cultures with an over thousand-year-old history, is a place of ruins today. The humanitarian situation is getting worse every day as the destruction continues. The number of 266.187.000 pita-bread that we have distributed to the needy in Syria only in 2015 illustrates the magnitude of this awful destruction and suffering. As IHH Humanitarian Relief Foundation we have been trying to provide relief to the Syrian refugees who migrated to other countries and those who are internally displaced since the beginning of the crisis. In addition to the relief aid to meet the urgent needs such as shelter, clothes, education, healthcare and food we are establishing lasting works such as orphanages, well, bakery, container city, soup kitchen, mill, and hospital inside Syria in order to alleviate the suffering caused by the horrible destruction of war a little bit. Where does IHH coordinate Syrian relief activities? 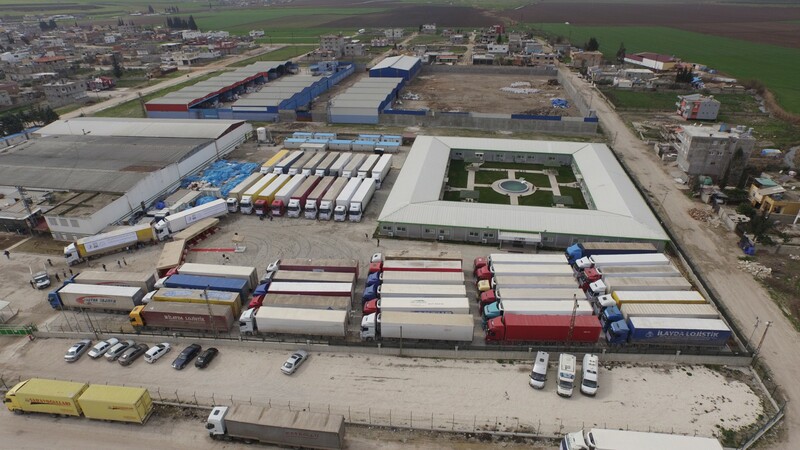 Built on 22.000 square metres in 2013, Reyhanlı Coordination Centre has store houses of 5.000 square metres and a bakery that produces 130.000 pita-breads daily. Also 16 different organizations hold offices in the premises.